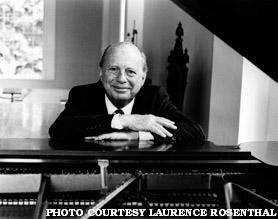 November 2016, which is the 90th birthday of the indispensable composer Laurence Rosenthal, furnishes a welcome chance to celebrate his 50+ year career in film, television, theater, and concert music, and to say why he has been of such value to those varied fields. Passersby will recognize the most famous of his film scores – his intimate musical description of the deaf-blind world of Helen Keller in The Miracle Worker; his medieval and Gregorian sounds that hang like an austere wall tapestry behind the 12th century screen story of Becket; the open-air anthem and robust galloping rhythms that bring scope and fervor to the western film Return of a Man Called Horse; and the diverse ethnic idioms that spark the scoring of that George Lucas TVs series about the world travels of Indiana Jones. Scores like those are fairly well known by now. And yet, long-term appreciation of Rosenthal's life-work reveals a rich history beyond those hits and award winners. It also discloses a fully self-expressive composer who just happens to write mostly in service to multi-media vehicles. As an active listener, I have learned to follow four overall qualities or aspects of his composing and it is that combination of qualities I toast herewith. From his studies at the Eastman School of Music and from two years in Paris with the 20th century's greatest music teacher, Nadia Boulanger, Rosenthal brings a high level of literacy (he once orchestrated Bach's solo chaconne "for amusement") and a scholar's array of compositional techniques, to any assignment. In films, hear his cunning evocation of 19th century Paris café music for fifteen instruments in the score to Hotel Paradiso (1966) but then how he applies a modern dialect to it – i.e. makes a conventionally A-minor phrase descend by half-steps headed for a major key, then unexpectedly reasserts A-minor. Catch the dissonant gestures of urban jazz mixed with Stravinsky in his brief cues for Requiem for a Heavyweight (1962) or in certain scenes of TV's Night Chase (1980). There are surprising key-resolutions throughout the sci-fi score to Meteor (1979) and dark, daring harmonies in Who'll Stop the Rain (1978) and even more complex, almost pointillist writing in a stage score of incidental music for Rashomon (1959). Extending this notion of scholarship and craftsmanship from specific compositional details to the broader vision of a whole score-concept, there is his politically darkening, slowly deepening score to Graham Greene's story The Power and the Glory (1961-TV). He called it "mordent Mexican music" and the progress of the score conceptually mirrors (and sometimes seems to lead) the progress of the drama. Those were each flashpoints of advanced musical literacy that made professional musicians – and the curious rest of us – sit up and take notice. It's true, though, that none of that music was as publicly conspicuous as other blockbuster soundtracks of those days with their simple themes and memorable mottos. This is the Rosenthal modesty of method which we will mention again shortly. That powerful music for The Power and the Glory brings up another aspect of Rosenthal: his facility with dazzling full-scale orchestral writing -- symphonic showpieces. In recent film music, perhaps only Sir Richard Rodney Bennett and John Williams have matched him in this. Some examples are the colorful fantasy score to Clash of the Titans (1981), the alarming and alluring orchestral mayhem to be heard in Island of Dr. Moreau (1979), certainly the Great Plains tonal landscapes and complex orchestral abstractions of Lakota Sioux chants in the aforementioned Return of a Man Called Horse (1976), but also the more circumspect and nuanced exotic ensemble assembled for the biography of Asian mystic Gurdjieff in the film Meetings with Remarkable Men (1979). 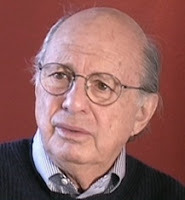 When theatrical film jobs began to thin-out, his bravura scores for historical TV films like Mussolini (1983), Anastasia (1985), and Peter the Great (1986) were composed without apparent concern for the "limits of the TV medium" -- each retained the necessary epic-and-ethnic feel for the subject matter. One other sign of a shrewd symphonist is that ability to make reduced orchestral forces sound substantial. Note how in the 1987 TV film Downpayment on Murder, the modest instrumental elements (with some synthesized voices) are made to sound gutsy and aggressive by emphasizing individual sections of the ensemble as power blocks, rendering even the melancholy main theme forceful. Likewise, in 1977's The Amazing Howard Hughes, Rosenthal acknowledges the narrower TV focus and yet doesn't compromise when the score needs enlargement: his main sax theme perfectly portrays the sleazy (and troubled) glamour of Hughes the shameless entrepreneur, yet by opening-up the same small-ish forces, that theme becomes a stirring fanfare that gives lift to the scenes of Hughes's early test flights as a fledgling aviator. Perhaps because he began his career in the theater writing ballet music for Agnes de Mille and incidental music for "Ah, Wilderness" and "The Music Man", Rosenthal's instinct for music that illustrates movement was developed early. Cinematic music, of course, not only needs to represent and interpret the story on screen, it needs to physically set the pace of the film, sometimes shape certain scenes, sometimes even mimic the action. And it may be that because of his ability to form-fit his scores so precisely to his films, his name is not so well known as those others we have mentioned whose music declares its independence blatantly. Rosenthal's music performs a mighty service but often in the modest capacity of a Counselor rather than a Host. Consider again The Miracle Worker – how that score guides the characters along, matching scene by scene: two lone clarinets which are Helen and Annie at the beginning of the score, later playful pizzicato strings as they wrestle for dominance, ultimately a tense suspended unison line for strings just before the moment of Helen's revelation. Audiences (and the Academy Awards that year) failed to notice music that was so tied to its film-scenes, so cinematic, yet its effect was absolute. The same can be said for the sparse scoring in the 1971 experimental film A Gunfight. 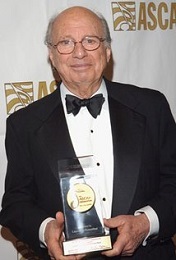 With only a handful of music cues (scored for two trumpets, one electrified, playing against thick string clusters and a cold hard backdrop of winds and chimes/bells) Rosenthal aurally captures and holds the film's key suspense scenes, building at length to the shoot-out and to the depiction of two separate (this is the experimental part) alternative endings. Again, it's a score-concept so enmeshed with its film that few viewers were aware of its clout. One other example of sparse but influential scoring is the 1999 version of Inherit the Wind. Rosenthal's trick there is to stay out of the way of the extensive Scope's Trial courtroom dialogue, yet manage to match the music cues to the protagonists of the play – a brittle motif-and-variations for the truculent prosecutor, a solo horn for the beleaguered defense attorney, and a naïve tune for the accused which then begins to go sour as his case turns ugly. Some guys in the production company front-office said that a famous stage play like this would never need a music score. But now the verdict is in. As we've said, Laurence Rosenthal's modest methodology all along has been the belief that film scoring should support but remain subordinate to cinema, even at the risk of obscurity. Yet in so many instances his mastery of the medium has assured at least a cloaked influence. And in the end, it's no matter that his first film score (This Is Russia, 1952) and his last [so far] (Stealing America: Vote By Vote, 2008) were non-fiction documentaries – his music has always been dramatic and personal – the scholar/craftsman, the symphonist, the melodist, the cinephile – always serving the medium but quietly having his own musical say. His modesty of method belies his mastery of means. John Caps has written on music for High Fidelity/Musical America, National Public Radio and the New York City Opera; and on film music for Film Comment, Film International, The Cue Sheet, and the University of Illinois Press's "Music in American Life" series.